UPDATED | Troubled Nigerian news channel Arise News has this week crashed off the Sky EPG for the second time this year, only to return on Wednesday with a diminished schedule. Arise News has in recent weeks largely dropped all news programming in favour of a loop of documentaries. The channel has been widely critised by unions for repeatedly failing to pay staff and suppliers on time, and has been unable to maintain a permanent schedule of news for nearly a year due to repeated staff walkouts. The channel had limped on via Sky channel 519 and free-to-air via the Astra 2 satellite cluster, although it has suspended programmes on multiple occasions, including over Christmas and the New Year, when it broadcast a static caption. The channel briefly lost its Sky EPG slot in February. The channel is bankrolled by controversial Nigerian publisher Nduka Obaigbena, who is embroiled in a corruption scandal in his home country and is being sued by former staff in both the UK and the USA, from where Arise News broadcast some of its output. Writing in the Huffington Post earlier this month, former Arise News presenter Akhtar Khan reported that the High Court recently closed the network down. But rather than pay up the money, as ordered by the courts, Mr Obaigbena has "started the same network under a different name". Late last year, regulator Ofcom confirmed it had not received payment from Arise News for its broadcasting licence, and the channel was abruptly pulled from Freeview after failing to pay carriage fees. At the time of publication, Ofcom's licence for Arise News, as recorded on the Ofcom website, is registered to Arise Broadcasting Ltd, a dormant company that had just £100 in the bank and tens of thousands of pounds in liabilities according to a recent financial report. 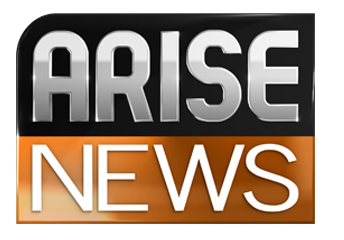 The TV channel is reportedly now being operated by Arise News Ltd.